Morocco has become a renewable energy powerhouse, with the goal of reducing its fossil fuel bill by focusing on renewables while still meeting growing energy needs that are increasing by about 7 % per year. Recently, the King of Morocco inaugurated the first phase of an ambitious 2 GW solar energy plan. 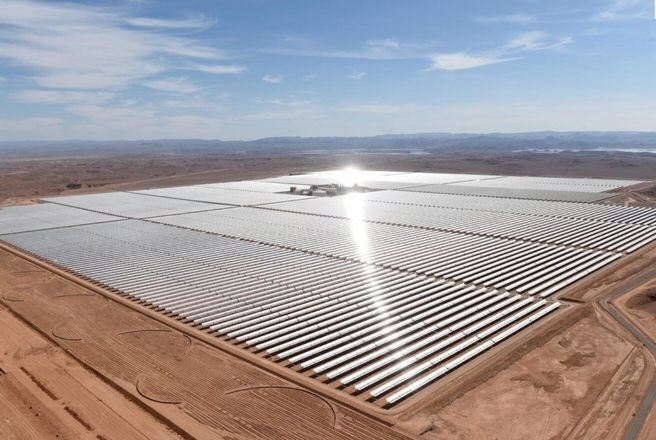 The first phase Nour, a 500 MW plant, is located about 200 Km south of Marrakech. The country is moving toward of the goal of securing 50% of its energy consumption from renewable energies by 2030. The most important gathering in the world on climate change, COP22, was held in Marrakech in November 2016. The fourth edition of the biannual Conference on materials and renewable energies (EMCMRE-4) will be organized in Marrakech, Morocco, May 8-11, 2017. The scientific topics of the EMCMRE-4 will focus on materials with potential utilization in renewable energies, energie storage, state of the art experimental techniques, and advanced theoretical and computational approaches. The Conference will be dedicated to energy harvesting, energy storage and materials for renewable energies with an emphasis on nanoscience and nanotechnology. The topics of the EMCMRE conference will encompass the branches of physics, chemistry, biology and computer science that directly impact renewable energies. The targeted audience includes students, faculty, researchers, and engineers from Universities, Engineering Schools and Research Institutes and industry. The Conference will include oral and poster presentations as well as keynote and invited presentations given by high profile scientists that will cover the key themes of the conference. Participation of graduate students from both sides of the Mediterranean is strongly encouraged. Proceedings of the conference will be published in Journal of Physics: Conference Series.